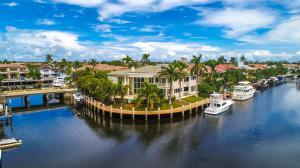 Lighthouse Point is a city in eastern Broward County of just over 10,000 residents, located halfway between Deerfield Beach and Pompano Beach adjacent to the intracoastal waterway. Named for the nearby Hillsboro Inlet lighthouse, Lighthouse Point is a coastal community with a rich cultural background. With 20 acres of park land throughout the city, 13 miles of bike trails and walking paths, and 18 miles of waterway access, residents of Lighthouse Point hold outdoor living to the highest importance. Lighthouse Point has a reputation for being home to upper middle class and high class residents, so there are numerous palatial estates and luxury condos. Leaders of the city of Lighthouse Point have taken great care to ensure that there are strict building restrictions to maintain the small town atmosphere and natural landscape. Overall, Lighthouse Point is a city of community pride, relaxation, and enjoying the sun and salt air, all in a pristine environment. Or, browse all the Lighthouse Point communities if you prefer. Lighthouse Point does not boast an excessive amount of communities, thanks to the preservation of building codes preventing over-development. There are a few superb communities in Lighthouse Point such as Coral Key and Lake Placid, which are communities of palatial waterfront estates and more modest single family homes, as well as Venetian Isles which has everything from waterfront mansions to modern townhomes.